In response to the recent chalking incidents at UCSD, the student groups Movimiento Estudiantil Chicanx de Aztlan and Migrants Rights Awareness created a list of 33 demands in collaboration with several other student organizations and campus entities. 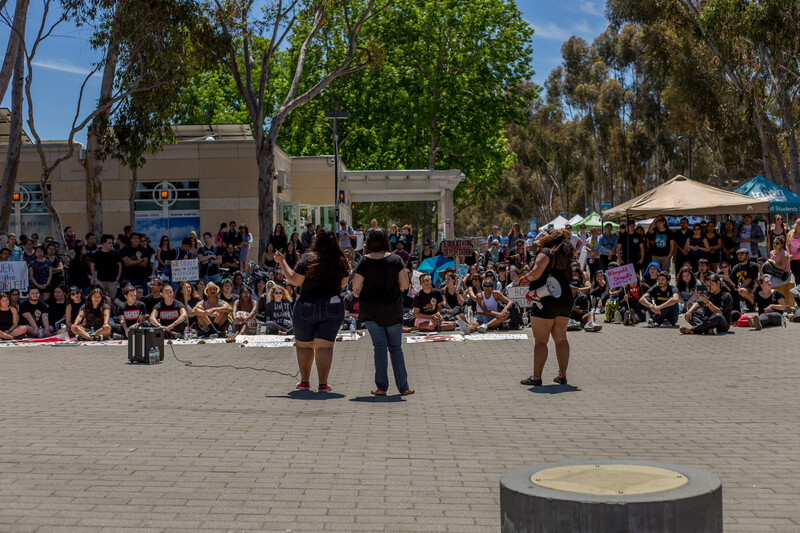 The demands are aimed at addressing the administration’s lack of response to the incidents as well as more widespread issues of racism and xenophobia in the San Diego and UC communities. The lists encompasses a variety of issues, including the well-being of the student population, changes to the diversity, equity and inclusion graduation requirement, the creation of more community-specific housing, increased representation of minorities among faculty and staff and an increase in accountability throughout the hiring process of upper-level administration, among others. Eleanor Roosevelt College junior Sonia Garcia Avelar, the chair of MiRA and one of the signers of the demand list, emphasized that while the list addresses the recent chalking incidents, it is meant to be proactive rather than reactionary; she explained how the demands are grounded in realistic expectations that are meant to be a starting point for improving UCSD. Rosaura Sanchez, a professor of Latin American and Chicano literature, offered her perspective on the proposed changes to the university’s Diversity, Education, and Inclusion requirement: first changing the course to a mandatory letter-grade, adding a second course, making them more accessible to non-American students and a specific focus on issues of the black community. She praised the proposal’s widespread inclusion of many communities but recognized the reality of the university as a public institution with many interests. The list includes a demand for the guaranteed existence of ethnic and cultural education programs including the Chicano/a~Latino/a Arts and Humanities Program, African American studies minor and the ethnic studies program, regardless of enrollment. Erin Suzuki, a professor of Asian American and Pacific Island literatures who holds an advisory role in selecting coursework for the Asian American studies minor, reflected on the importance of serving the needs of a community that comprises 54 percent of UCSD’s campus and a large portion of campuses across California. ERC senior Raahima Shoaib, the programming director for the Muslim Student Association, shared her own experiences of how UCSD does not adequately accommodate Muslim dietary restrictions and religious customs. The list of demands closes with a statement asking for online signatures and widespread sharing within communities.